“October/November Song – The Long Slog” | "Northern Crossings"
I call it the long slog. This is the Pastor’s Desk and so from my desk perspective this is the long slog. For liturgical preachers it is a long slog and the weather in the north country does not help. 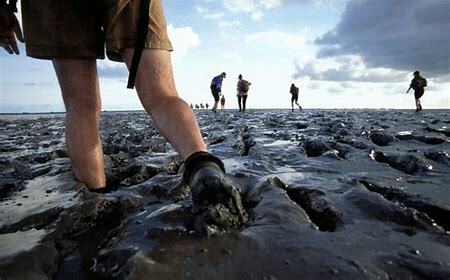 Those golden days and life under a sapphire sky can turn quickly into what feels like “the bleak midwinter” or long squelch through a mud flat. In the preaching world the slog begins with the commemorations in the10th month; Abraham, Phillip the deacon, Ignatius of Antioch, James of Jerusalem, Dorcas, Phillip Nicolai, Simon and Jude; “All these people were still living by faith when they died. They did not receive the things promised; they only saw them and welcomed them from a distance, admitting that they were foreigners and strangers on earth”. Strangers on the long slog from life to death to life. A high point is reached when we remember the lone monk walking through dark October morning on the day before All Saints Day; the morn of the eve of All Hallows, with a hammer and a nail and piece of paper part of which reads, “When our Lord and Master Jesus Christ said, ‘Repent,’ he willed the entire life of believers to be one of repentance.” A long slog, that rhythm of confession and absolution; “I lay my sins on Jesus, the spotless lamb of God and He bears them all and frees us from the accursed load”. The bearer who takes the weight makes the slog possible even if it is still tough. Long ago armies noted that the long slog is bearable if you sing and join the voices of the sloggers into a rhythmic venture and so we do – “like a might army moves the church of God” and remember we are treading where the long sloggers went before. On the way we still have a mighty fortress and a trusty shield and weapon. On the march the gibbering imps of hell watch and make their japes from the side and from the rear and even though they fill the land we tremble not. “If there are as many devils as the tiles on the roof tops” we’ll make our confession and tremble not. Not because of them anyway. They are finished, but the slog continues. We may not be battered by Egyptians but we are still slaves to our old nature. We are free but we forget. We are rescued but we still wander the wilderness and may in our freedom complain about the slog and even bellyache about the manna we receive every day. We are still glory bound and the promised land is a ways away. We might wander in the vacuity of subjective idealism, listening to the blasters of a self righteous sound track, or depressed by the dirges of a world that seems hopeless but still once and a while “steals on the ear the distance triumph song”. The Sundays in November are the last Sundays of the church year and full of the dire warnings and predictions of the end of all things and the universe rolled up like a scroll. “The Clouds of Judgement Gather and the Bridegroom Soon Will Call Us” and then a new Church year and the slog to Bethlehem and manger, life and light and peace like long ago shepherds. Through the slog though, the motto remains; “Come Lord Jesus”. Comes as Word, as Child in Manger bed, as King and Judge, Come. PreviousTell You What I’m Gonna Do. The Baptism of Jesus and Yours – the Mission Impetus.